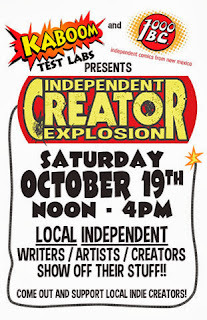 Kaboom Test Labs in Albuquerque is partnering with 7000 BC to present the first Independent Creator Explosion. Local comic creators will have their books for sale in the gaming area of the shop on Saturday, October 19 starting at noon. 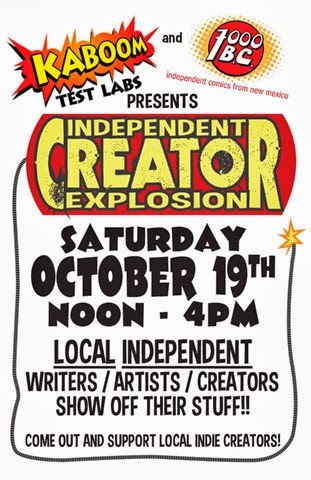 Support the comic writers and artists of Northern New Mexico and discover their creator-owned books! 7000 BC members will also be available to answer your questions about the group and independent publishing. If you've ever wanted to see what local comic creators are producing, or learn more about making your own, be sure to stop by I.C.E.